Combining the perfect blend of luxury and well-being with voyages of discovery in a welcoming intimate atmosphere, Le Lyrial's sleek design allows access to smaller ports for exploration of hidden gems inaccessible to larger vessels. In addition to the 122 elegantly furnished oceanview suites and staterooms, most of which include balconies, Le Lyrial also features two restaurants, three lounges including an open-air poolside bar, a theater, fitness center with steam rooms and Turkish bath, Sothys spa, and plenty of private space for rest, reflection and relaxation. 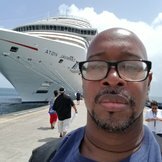 If you choose to follow Le Lyrial you will receive weekly email updates with the latest reviews, tips, and photos from Cruiseline.com members about Le Lyrial.